The present chapter deals with the introduction and implementation of rapid prototyping technologies in medical and dental field. 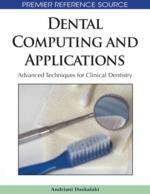 Its purpose is to overview the advantages and limitations derived, to discuss the current status and to present the future directions, especially in dental sector. Furthermore, a flowchart is outlined describing the procedure from the patient to the final 3-D object, presenting the possible alternatives in the process. Finally, an example is presented, decribing the process of the construction of high accurate surgical guided templates in dental implantology, through rapid prototyping. Computational modeling represents the simulation of real-world scenarios in a virtual environment throught the transformation of physical structures into numerical models. It has revolutionized the engineering and science over the last 30 years, by integrating itself into many aspects of the modern life from entertainment through medicine. The framework of operating in an in-silico field allows the practitioner to handle and analyze numerical models of great complexity and under convoluted conditions, with relative ease and mainly safety. The last years, the computer modeling is experiencing increasing application and extending deeper in the fields of biology and medicine, across a vast range of scale, from the individual molecules and cells of the micro-world, through the varieties of tissue and interstitial interfaces, to complete organs, organ systems and body parts of the macro-world (Robb RA, 1999). The framework of bio-tissue informatics includes a variety of scientific and engineering disciplines, according which the computational simulation of internal and external configuration of biological structures is conducted, often providing information about biological, biophysical and biochemical properties. It is a matter of multidisciplinary procedure, expressed as bio- or biomimetic modeling. Formerly, biomodeling was used to express a generic term, defining the process during which a biological structure could be transformed into a solid substance (D’ Urso, 1998). Though, currently, after the advances and the vast implementation of the computed technology innovations, the definition of biomodeling can be extented in order to include the fidel replication of a biological structure in terms of geometry or morphology both in a computer-based or a solid physical form. Based on the latter definition of biomodeling, the resulted output-forms (biomodels) can be classified into: a) computed-based and b) physical biomodels. The formers can be further divided into virtual and computational biomodels. Physical models constitute the physical production in an actual or scaled size of a computer-based, virtual, usually, models by engineering technologies (Lohfeld S, 2005). Each kind of computer-based model constitutes an object system (such an anatomical organ), which may undergoes specific object –operations, the results of which provide information of qualitative and / or quantitative nature. These operations are highly independed and may be distinguished in: a) visualization, b) manipulation and, finally, c) analysis. More specific, visualization serves the viewing and comprehending the structures and the dynamics of the object system. Manipulation aims at the altering of the object system either by changing the relationship among the consisted objects or by altering the objects themselves. On the other hand, analysis aims at the extraction of quantitative measures of certain parameters, which are related to the functionality of the object system (Sun W, Lecturer Topic Sp.AYO1O2). Virtual biomodels are directed to suit the purpose of visualization and manipulation, while computational models are suited for the purpose of the analysis and, specifically, of the biomechanical analysis, exhibiting stress and strain distributions (Udupa JK, 1999).